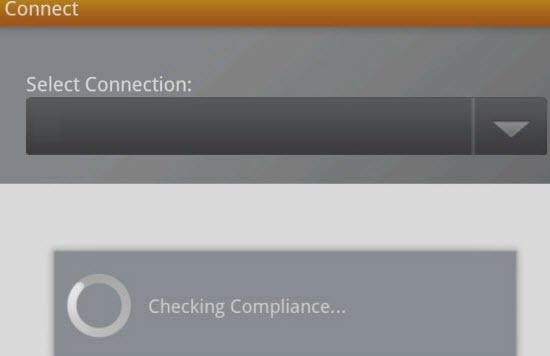 KB19692 - Pulse Secure Mobile client for Android cannot pass the "Failed to connect to server! Check your Certificate" error message when "Uses Certificate" is selected on Android devices. KB43024 - Pulse Mobile for iOS 6.5.1 (6.5.1.74257) connecting to a PCS device with Host Checker enabled on the realm or role are denied access with prompts "Host Checker is supported only with Pulse Secure client" or "You do not have permission to login"
KB22979 - How to prevent rooted Android device from connecting to a Pulse Connect Secure device? 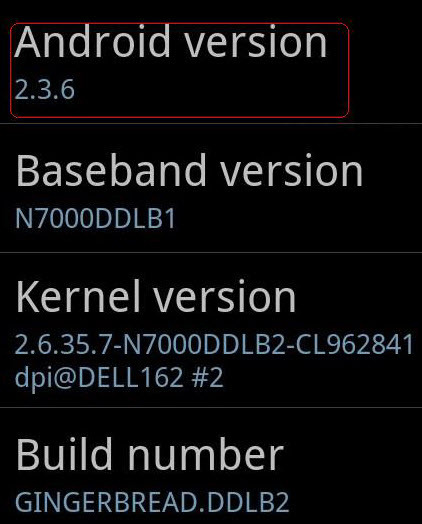 PCS device running Pulse Secure Mobile a Host Checker rule can be created to check for the version of Android OS being run on the client. 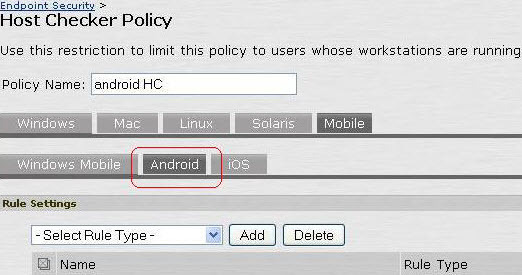 The Host Checker policy can used to check if the Android OS version is equal to, below, or above the allowed OS version, as specified in the rule. Make sure that the latest Junos Pulse client is being run on the client device; the latest available version is 3.2.0.19739P. If there is any issue with connecting, even though the Client OS version meets the requirement as defined in the Host Checker Policy and rule, create a case with Pulse Secure support and send the User access logs and Client side logs from the Android client; which can be obtained by clicking Send Logs under Status, sending the logs via email, Bluetooth and so on, and saving it to your local drive.